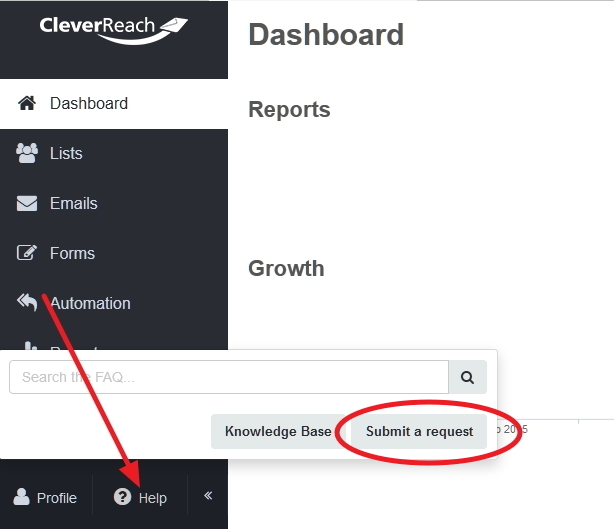 With the CleverReach Premium Support you will enjoy a special status when handing in a support request (your requests will be preferred). Additionally you will receive feedback within 24 hours (Monday – Friday from 9 AM – 4 PM CET, excluding holidays) instead of within 72 hours (our standard promised response time). In addition, you receive telephone support by our competent support team. How do I get Premium Support? How to use the premium support? Your premium status can be identified automatically when a support ticket was submitted and the customer number was mentioned in the form. As an alternative you can also submit your inquiry directly in your Cleverreach account. Just click in the account on [Help]. For how long will I be receiving Premium Support? As with our monthly plans the Premium Support is valid for one month and is renewed automatically at the end of each month. If you are currently on a paid plan the Premium Support fee will be added to your overall plan. The first order might lead to a prorated charge for Premium Support. 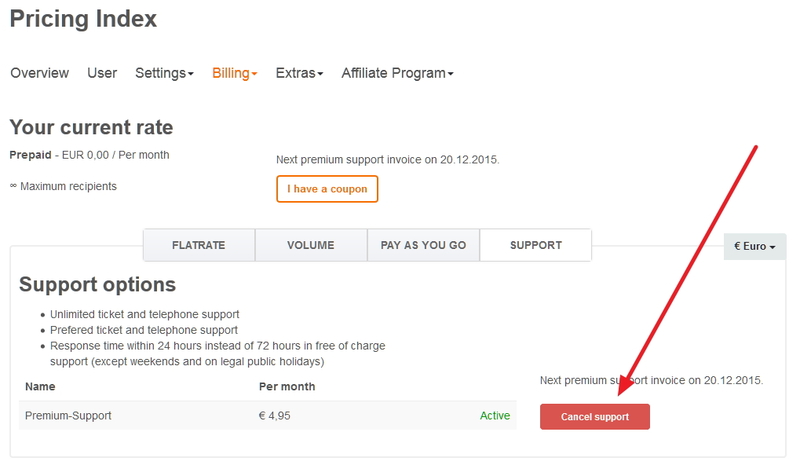 The Premium Support is billed together with your monthly plan. How do I cancel Premium-Support? In your plan administration (under [My Account] > [Billing] > [Monthly plans & Prepaid]) in the tab [Support] you will find the cancel button. After the respective confirmation your Premium Support will be deactivated beginning the following month. Please be sure to enter your customer number whenever you submit a support request. 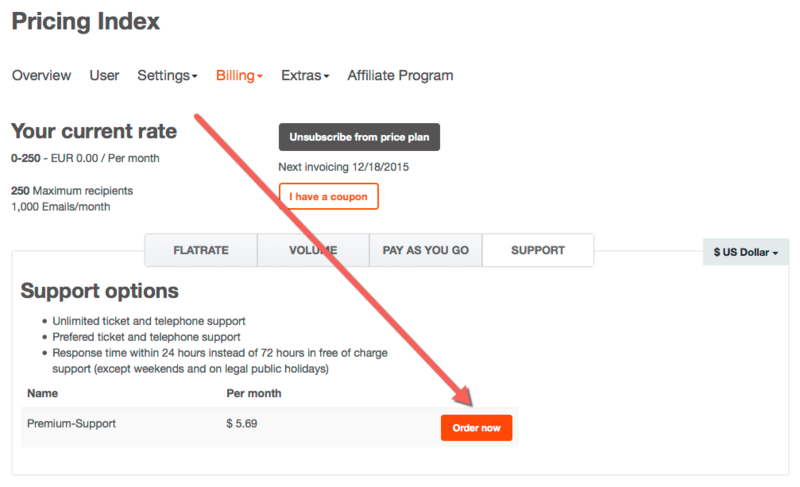 Premium support is completely separate from other plan conditions or prices.